When One clicks onto your website, how does your main, or landing page come across? The feel of it? Does it come across as a sale, of sale’s page? Does your website come across with sincerity, or is it a pieced together Hodge-Podge of ideas and after thoughts? I know all websites are a ‘work in progress’. Meaning that some things are arranged, or rearranged as time goes by, either by the owner, or a webmaster they may know. The bigger companies out there, have a full-time staff for their online presence. They use the latest technology, such as website video and make sure their ads load fast and by just about any media player out there. Full time coders to write code, so when a would-be client comes visiting, that client can get a fast, concise, read of what their website has to offer, be it brand, or services. In this article I am going to address some of these thoughts and challenges of having a website and the use of website video. How the look and type of information of your website will either make, or break a sale. Above I asked if your website comes across as a ‘sale of sales’s page. Let me elaborate on that. That ‘Sale of Sale’s’ term is when a site ‘comes-across’ as a buy now, pressure-cooker deal. Nobody feels comfortable in that situation, even if it is the best deal out there. I am going to share 25+ years of inside and outside sales experience with you. When a customer comes to a place to learn about a service, or product, they want to discover for themselves. They want to be an informed buyer, not a Sold buyer. There is a fine line of a Sold buyer and an informed Buyer. An informed buyer can go down a check list of their needs and are reassured that the product in question will do the job. A Sold buyer often has buyer’s remorse and many times needs to be ‘re-sold’ later ‘down the road’. Causing unwanted returns, or having to re-sell an item taking up precious time. If your website has useful information and is recognized as a ‘trusted-hub-of-information’ you will reap the benefits of that, via referral and conversion to buys. IE: A website like CNET or Consumer Reports, can sway you one way or the other. Because they are grading and advising not selling. If you sell widgets, for an example. Share with others on your site, the different grades of widgets, the cost comparison and give them a choice. Not just one widget and you stating it is the best widget. How does your website come across? Have you put your site out there and asked the community? With WordPress they have a forum, that has an area called ‘Strut your Stuff’. This is where you put your website out there for constructive criticism by other members. That is a very valuable tool, trust me. I have seen sites published over there that a person actually thought they had the next Google landing page. However, after the critics were done, the person realized that their site came across as “I want your money”! Not the message they wanted, as much as that IS the underlying reason for anyone’s site, most websites not all, but most. A professional site offers insight and help, it is a great resource for D.I.Y’s, as well as the beloved Consumer. If you site is littered with ads and links, even Google is now using algorithms to weed those sites out of top ranked search engine pages. To relay trust with a website that is obviously biased, is a tough order to fill. Words are great if folks would read. Yet, we know how much people like to read, or will read, for that matter. Pictures do stir emotions, but not as good as you the owner, or a paid actor could do to represent your brand or company, using a website video. Or the Holy-Grail of advertising… Video Testimonial. Video is at the forefront, for everything out there. A couple of weeks ago, (9/18/2012) as of the time this article was written, Marie Claire UK magazine has reached out to video too. They installed video into a print magazine. Viewable here. 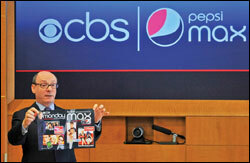 CBS and Entertainment Weekly combined efforts and launched video in their magazine back in 2009. What does that say about the power of video? The challenge these big companies are having, would be the cost of that miniature video player and of course a power source. No company wants their paid-for ads to expire, or may not be viewable in a magazine that may sit around for a month a two, due to no power source. I am sure we all have read an older magazine waiting for an appointment in a waiting room or two. Good news, website owners do not have to worry about a video player due to outlets like Youtube, or installing a JWPlayer on One’s site. Of course the power source is there, or there is no Net to surf. The latest technology and code that has been written for One’s browser, is to display ads or website video within One’s browser. No player needed to download, no external link. HTML5 code will cipher what kind of browser is accessing One’s site and will accommodate it and play the video inside the browser, via java script coding. Not to worry how, it just does. That is how you can have video play on your website without a video player, slick stuff. Talking about competing, by incorporating things of that nature into One’s website as the ‘Big-boys like Pepsi, Audi, Chevy and many others do, will definitely come across as professional. Now the only thing to have done is your content created and published to then be coded into a format, or direction you want to go. Be it a simple Youtube website video, or specialty HTML5 Website video that is played inside a viewers browser. I mentioned earlier how CBS/Entertainment Weekly and Marie Claire are using limited video in their magazines due to having a challenge with a power source and the cost of a video player itself. Being on the Net, gives you a beautiful flat screen monitor just waiting for you to install a website video into your virtual store front. Giving the perception of the ‘bigger-guys’ or at least keeping up with the times. If you are a bigger company reading this then of course you already know this. Jump to my Pricing page. If you are a small to mid-size company, instead of going way of the magazine, where everything needs to be read on your website. Think for a moment, if big companies like Pepsi, CBS, Entertainment Weekly, Marie Claire magazines are spending huge money to get a video in-front of their readers, why would you not use the power of website video? Website Video is a very powerful tool just waiting for you to turn it on. NetCommercial is running a entry level special.. For about the cost of what most webmasters would charge for a tune-up of pictures and wording, you could have a website video commercial done for your website. Order yours today and be on track tomorrow. Still skeptical? Or you are the exception to the rule who hates technology? Refer to this article for stats, figures and facts about video for websites. We look forward to hearing from you, order your website commercial special today, that special may be gone tomorrow. P.S We love to know your opinion on this subject of website video. Remember to leave a comment and to not be considered, or deleted as Spam. Please use the phrase ‘Power of Website Video’ in your comment.